February | 2012 | Mediascope, Inc.
Fulfillment centers use overall volume to negotiate discounts with freight carriers. This allows fulfillment companies to spread shipping and handling costs across all their clients. Taking advantage of these discounts will help offset the costs of hiring a fulfillment center. Consider the other services a fulfillment company may offer. Not only are there fewer administrative costs by having all of the work performed in one location but design, printing and direct mail services are usually less expensive in the Midwest than on either the West or East Coast. Partnering with the right fulfillment company can result in unexpected costs savings in other areas. Many fulfillment centers offer the ability to assemble various components into bundles or packages. Kitting not only allows for additional sales opportunities but packaging pieces together before sending to the end user can help save on shipping costs. Quality fulfillment centers train their employees on products, processes and safety. This means you have a happier customer because they will receive exactly what they ordered. Safety is another important area of training. All customers share training costs which means a lower per-unit cost for you. 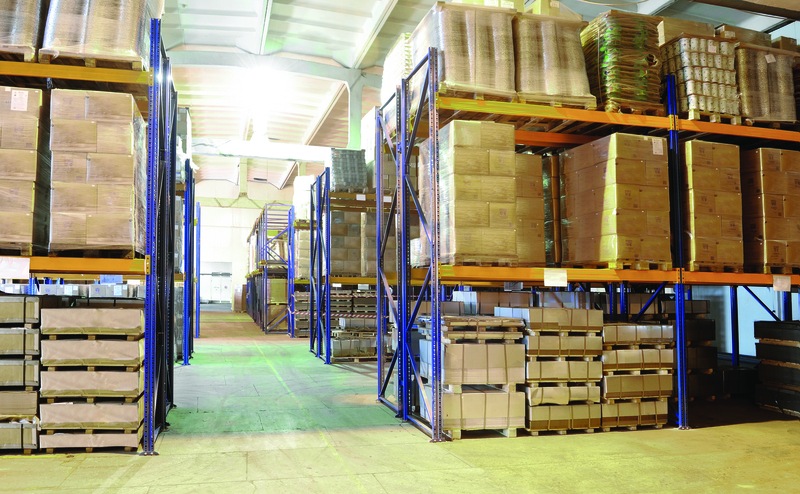 Too often, storing products or shipping materials consumes valuable space. Fulfillment companies make incredible use of space and can share materials and staging areas amongst several clients. This is a great way to reduce your overhead costs. Fulfillment centers have strategies in place to accommodate both slow and busy times for all of their customers. When workers enjoy more consistent hours, they develop better skills which help to ensure your orders ship correctly, in a timely fashion, and at lower costs. This is especially important to seasonal businesses which have peak shipping times. Getting the product into the customer’s hands is only one piece of the puzzle. Putting this step into expert hands allows companies to focus on marketing and other strategies to help grow the business. Fulfillment services work with you to control your inventory so that you don’t accidentally sell something you don’t have in stock. In short, no matter how many or how few packages you send a month, using professional fulfillment services may be the perfect solution for your business. Each year, approximately 40 million Americans change their place of residence and/or place of business. While most people file an address change with the United States Postal Service (USPS), it can take years for businesses to update their existing mailing lists. As a result, mailings continue to be sent to old, outdated addresses which means not only wasted money, but lost opportunities and sales. 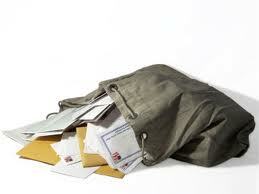 The USPS estimates that at least 8% of standard mail is undeliverable because of incorrect addresses. NCOA is a national system of updated addresses as filed with the USPS. In 2008, the USPS Move Update Standard mandated that all Standard Mail (letters, flats, parcels and not flat machinables) as well as automation- and presort-rate First Class Mail be updated within 95 days of mailing to qualify for discounted postage rates. Mailing lists are first processed through NCOA to standardized them to conform to USPS requirements, including Zip +4. Once the address is standardized, an attempt is made to match the address against the master NCOA file which contains approximately 115 million records or 48 months of permanent address changes. Old and outdated addresses are replaced with current information. Since 1986, NCOA and its predecessors have saved mailers millions of dollars that would have otherwise been wasted in postage and materials. If all of these great reasons to do NCOA aren’t enough, it is important to know that penalties may be applied against companies who bypass NCOA standards. If your mailing house doesn’t talk to you about NCOA, you may want to ask them about it. If they are not adhering to the Move Update Standard, you are at risk of being penalized. Remember the 2010 Microsoft TV commercial which showed a mother editing her family photos and telling us to “Go to the Cloud”? The ad showed a woman sitting at a computer substituting smiling faces onto a photo of her posed, but unruly, husband and children. Not surprisingly, the commercial flopped as it never explained the meaning of “the cloud.” Even today, well over a year later, not everyone understands what “the cloud” means in the world of technology. If you are doing word processing or photo editing “in the cloud,” you are performing those activities via Internet. Since you are using Internet, you don’t need to own any hardware or software beyond those you already have, such as an Internet browser. 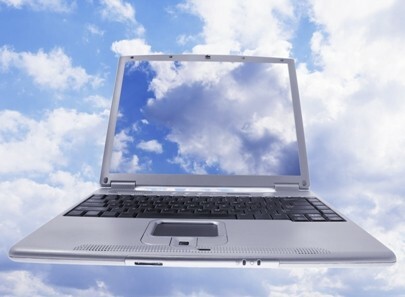 Another term for cloud-based computing is SaaS or Software-as-a-Service. By doing your computing via the Internet, you are receiving delivery of your applications as a service. Home-based cloud computing services include web-based email which allows you to check your email from anywhere, backups for photos and other large files, and file-sharing, which allows others to access your photos or files. Games are becoming an increasingly popular form of SaaS products, also. Many business softwares, including SalesForce (a customer relationship and sales tool) and QuickBooks Online (financial application) are now cloud-based. How do I Access SaaS Computing? Accessing a service via the cloud is usually as simple as opening a browser on your computer and logging in. The service handles security, not you. Reputable companies store files on more than one server and in more than one location. Most SaaS companies have secure logins and can provide you with information on their security measures. In terms of privacy, a good service uses safeguards such as SSL encryption for file transfers, and encrypted file storage so personal information is unlikely to be hacked. A service should also assure you that servers are guarded both by security personnel and by technology such as fingerprint scanners which allow authorized access only. Accessibility — the service is available from any computer that can access the Internet. Affordability — without the expense of additional hardware or software, capital outlay is reduced. Also, some subscriptions qualify as an operating expense. Automatic Updates — updates are generally included, automatic, and seamless. Flexibility — you identify the number of subscriptions needed which means no extra unused copies of software lying around. Ease of Use — implementation if usually fairly simple and ongoing support is typically included in your subscription. As with everything, there are pros and cons to cloud-based computing. In many cases, the benefits of SaaS computing makes using this technology worthwhile, but be sure to check out the security features. Branding (in marketing) is one of those terms that tends to get tossed out without a lot of thought to whether everyone understands what it means. A question about the meaning of branding came up at our place recently when a non-marketing person was putting together notes after a meeting where we discussed branding. The brand of something is the look, the feel, the tone of it — basically the identity of a company, a product, or even a service. The brand can include the color and placement of the logo, the typeface, the tone of the copy, the voice — anything that hints at who the brand’s owner is without actually saying it. Think of the inserts which come in Sunday’s newspaper. How many circulars can you identify without seeing the company name? A brand begins with the logo and ends . . . well, nowhere, really. Branding is omnipotent and all-encompassing. Sometimes even unintentional or negative things impact a brand, and not always for the good. Think about Mercedes, BMW, and Cadillac. Does each of those names evoke some sort of response or opinion in you? You bet it does. Now think about Toyota. Do you feel the same way about Toyota as you did, say, four years ago, before reports of acceleration problems surfaced? Probably not. Intentionally or not, you have formed an impression of each of those cars. Good branding takes effort and intentionality. When done right, branding tells the customer what to think. So, with that in mind, what’s your brand looking like these days? Cardboard, words, and paper have a special place in the hearts of those of us who like to feel and hold the solidness and substance of a well-written book. Take a look at this video made just for those of us who love books.